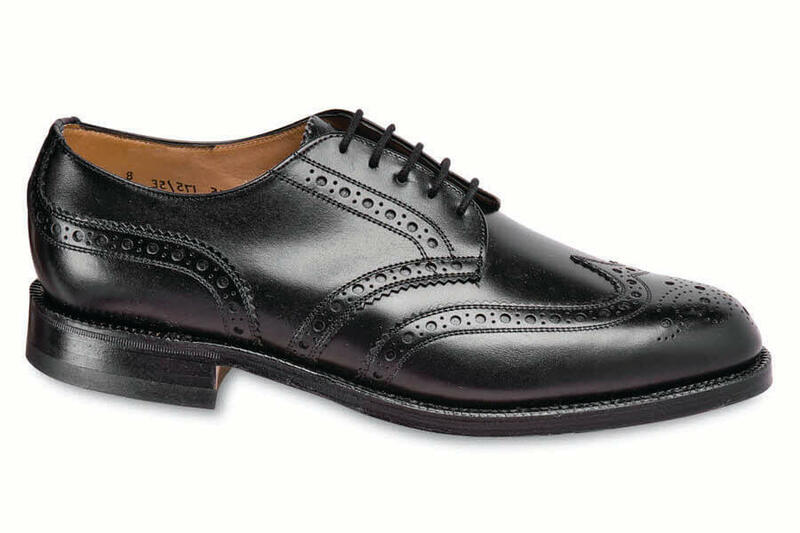 Our beautifully made wide English wingtips of satin-finish black calfskin with perforated detailing have full leather linings, extra-thick Goodyear welted leather soles and rubber heels. Produced exclusively for Hitchcock by Jos. 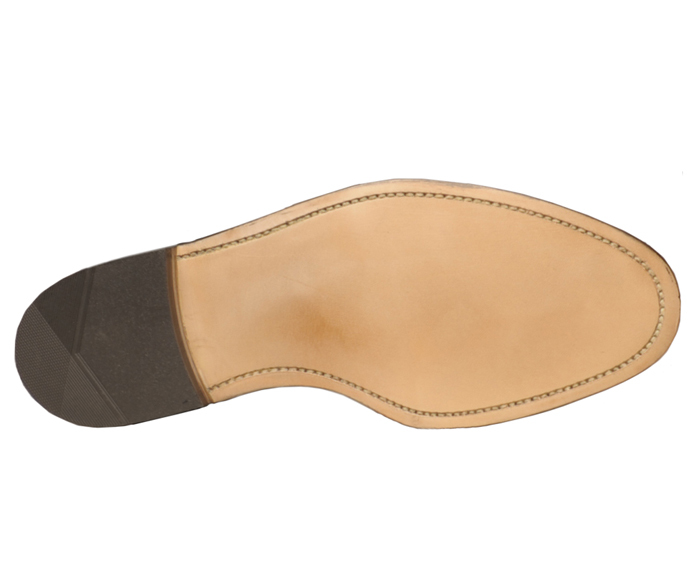 Cheaney & Sons, an English factory that has been making fine footwear since 1886. Deene last. Men's sizes 7–12 and 13 in 5E and 6E widths. (Very limited stoock in 3E.) Free pair of knit shoe bags in the box with every pair.